Amulet Rippers Fit Machines From 2,000 to 100,000 lbs. 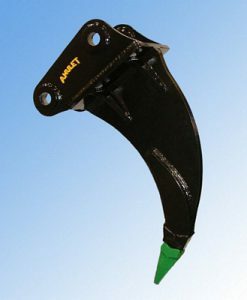 Perfect for shale, permafrost & rocky soil, the Amulet Ripper fits machines from 2,000 to 100,000 lbs., unbeatable under even the most extreme applications where most single point rippers fail. These rippers are shipped “ready to work” complete with a replaceable Esco tooth.